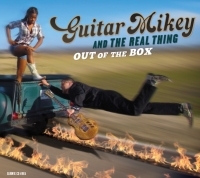 Guitar Mikey and the Real Thing are definite proof that blues is fresh and alive. With the funk of James Brown and the intensity of Buddy Guy combined with the heaviness of Led Zeppelin the band has earned the opportunity to share the bill with such artists as The Thunderbirds, John Mayall, Johnny and Edgar Winter and even hard rock bands the likes of Nazareth. At eleven years old, Guitar Mikey had already established his destined path when sneaking back stage to meet slide guitar mentor, Muddy Waters. 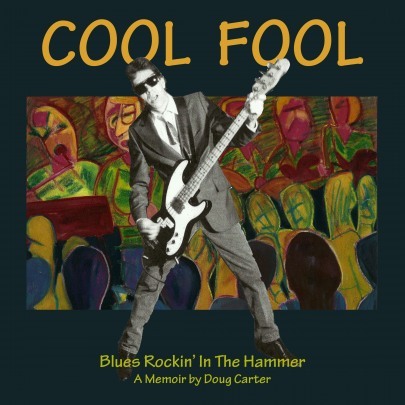 At the age of twelve he began playing in local rock bands and at sixteen, began fronting the critically acclaimed - award winning Steel City Blues Band. Later, this band would feature, and then back Canada’s King Biscuit Boy. Over the years Mikey has been seen from Toronto to Buffalo, Chicago, to Boston, and now in his new home of Clarksdale, Mississippi sharing the stage with the likes of Honeyboy Edwards, Yank Rachel, Buddy Guy, Otis Rush, Billy Branch, Carl Weathersby, Long John Baldry and Paul Butterfield. Many Hamilton fans remember the years of Mikey's regular Sunday night where he helped build the popularity of Hess Village's club, The Gown & Gavel. Here Guitar Mikey would regularly have musicians sit in like Carey Bell, Phil Guy, Eddie Kirkland, Eddie Shaw, Luther Tucker, Don Walsh to name a few. Most recently he has reached his final destination, Clarksdale Mississippi. This is where he will continue playing the music he loves, in the place it was born. Guitar Mikey and the Real Thing live, are HOT, HEAVY and ELECTRIC. Their recordings are contemporary enough for AOR radio and rootsy enough to please any purist audience. So what do you do with a band like this. Well, you don't do anything except see them and buy their music. 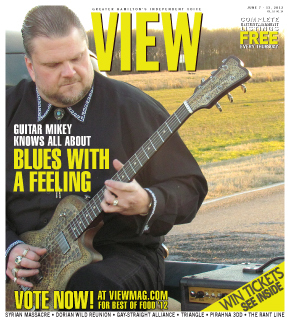 Guitar Mikey has the heart of the "King of the Jungle" as he rules his blues with the wisdom to honor the tradition and the courage to pounce on a fresh idea. The spectacular results are deeply profound with lyrical insights, while still rocking with unbridled exuberance. To paraphrase two giants of southern culture - Honeyboy Edwards and Emeril Legasse - Mikey’s blues-rock gumbo is properly cooked, with his own special brand of hot sauce. He kicks it up a notch. Bam! ... Really fine music, I like the singing and songs a lot and the arrangements are interesting, not generic. I like the traditional foundation with Guitar Mikey's modern touches. He should be proud. I’m proud to have a part in this fine CD. One thing for sure is that Mikey s guitar-playing is HOT! Mikey himself, is an awesomely deft guitarist. He can go from knock-down-the-walls power to gentle tenderness in a beat. He adroitly reaches to the roots of his music to the point where blues is infused into almost all forms of pop"